Golden eyed dragons have become aligned with Source. Other eye colors – be wary. We dragons frequent inner earth for we are compatible with those higher energies and they soothe us. Humanity has forgotten how to be soothed, how to relax, how to be. Come now human on this journey with me through space time. Come to my dragon world of crystals and singing waterfalls. Anchor to Mother Gaia first so you may find your way back easily, and you will realize that there is a roadmap within your third eye that does not easily miss. You are masters at this sort of travel, you have done it many, many times. Now we are off. Hop on my back and fly with me! We see a glowing green wormhole in front and we dive through it without hesitation, for we are dragons! We do not hesitate! And neither should you, oh human, for you are mighty. It is time that you remember this – a deep internal knowing kind of remembering. My dragon breath will help you with this. Should you allow it. There. Better? We are in a wormhole of electric green light that moves and twists and turns that seems never ending but all is rapid – fast. For we are flying as the time lords fly with great speed and purpose and joy. There is our stop. You see a red planet surrounded by mist with dark towering peaks – not a welcoming place. That is our old home that we have evolved from. Send it love and move on. I show you this human for you must see that all of us have evolved and are evolving. The dragons of yesteryear have transitioned through much. Many have chosen not to transition and they have been left behind, and their anger smolders. Do not be like them. Do not choose to be left behind – it is extremely lonely for them as they are only surrounded by the dark shadows of their own making. You must be careful when connection with the dragons. Not all of us have evolved and have chosen to hold Source light in our eyes. 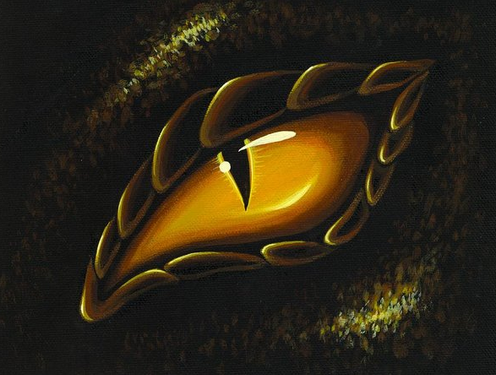 You can always tell the allegiance of a dragon by their eyes, human. Mine are golden. Golden eyed dragons have become aligned with Source. Other eye colors – be wary. Many more of you are trying to connect with us and we see this and it gives us great pleasure and we are keen to connect but be careful. Not all dragons are so friendly and we can be cunning should the need arise. Is my warning heeded? Do not be deceived by a smooth talking dragon, human. Learn to see with your heart space and it will never fail you. There. We have passed by that dark planet where lost memories turmoil. Send it violet fire and move on. I always enjoy doing this for it keeps me reminded of my path onward ever upwards towards Source – my own personal pledge. Another wormhole now. This one electric blue – ah it is even faster! Suddenly we stop, we have arrived at Elthor’s homeward of dragon lore. It is so good to be back. You see this is the same planet template but the redness and swirling smoke are gone. The black peaks are now emerald green. You, human, may perceive these colors as neon but they are normal to us, as an ascended dragon collective. Flowers and waterfalls dot every triangle peak and there are great elevation changes on this rocky terrain.